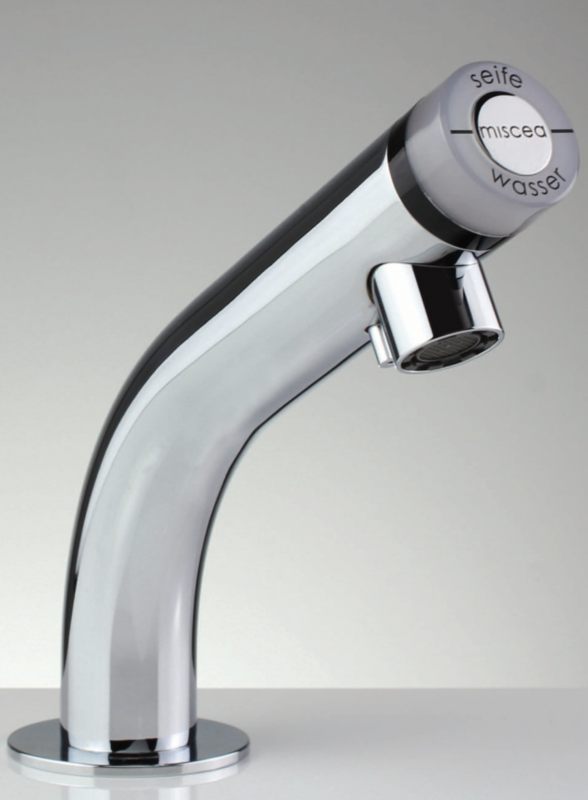 The miscea LIGHT range of sensor activated faucets have an integrated liquid dispenser system engineered directly into the faucet for convenience and hygiene benefits. Through fast and reliable sensor activation, the miscea LIGHT readily dispenses what you need and water for an efficient and convenient hand washing experience. The miscea LIGHT system is not just an award-winning system, but also a viable and effective solution for facilities. Yet it is elegant in design and simple enough to be used in any business or home. The miscea LIGHT® range of sensor activated models have an integrated liquid dispenser system engineered directly into the model for convenience and hygiene benefits. Through fast and reliable sensor activation, the miscea LIGHT® readily dispenses soap and water for efficient hand sanitization. Please note, certain functions may not be available on all miscea models.